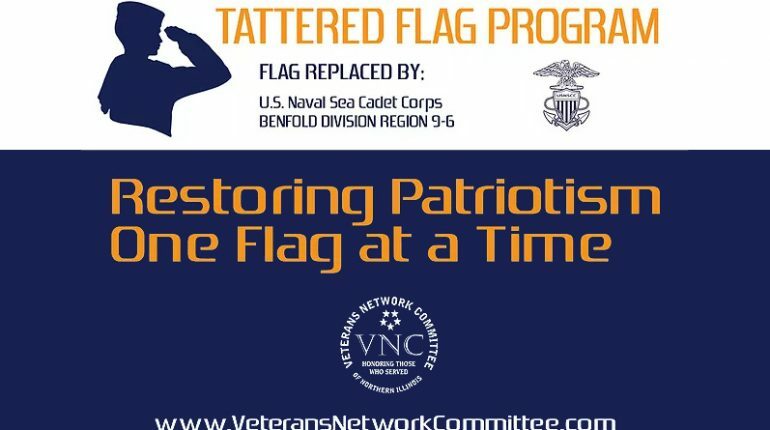 Aaron Stain and the Sea Cadets worked to redesign our Yard Sign for Tattered Flag. The sign is now very recognizable from a distance and represents the partnership between the Naval Sea Cadets and the Veterans Network Committee. Please tell us if you identify a Tattered Flag that needs replacing.